Vertical “Eye” Coil Grab is efficient handling of vertically stacked coils. Handles any size coil I.D. from 16″ to 24″. Efficient handling of vertically stacked coils. Available with chain wheel drive. Low Platform Coil Upender is lower platform design offers easier access by operator. 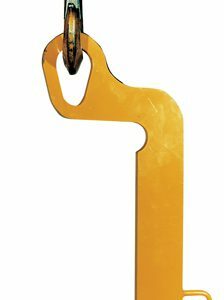 This C-Hook is the perfect solution when handling narrow or slit coils. Telescopic Coil Lifter available with hand wheel leg drive option. Heavy duty coil upender larger platforms available. Choose a language to translate this page! Copyright © 2017 TorqHoist. All Rights Reserved.